When we see red the color it makes us stop! The color red does something in our brain to pause you right in you’re tracks. 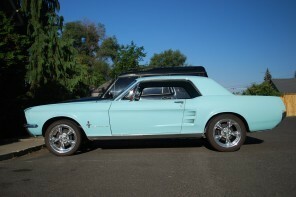 Here’s a Custom 1969 Ford Mustang that once you see, you’ll never forget. 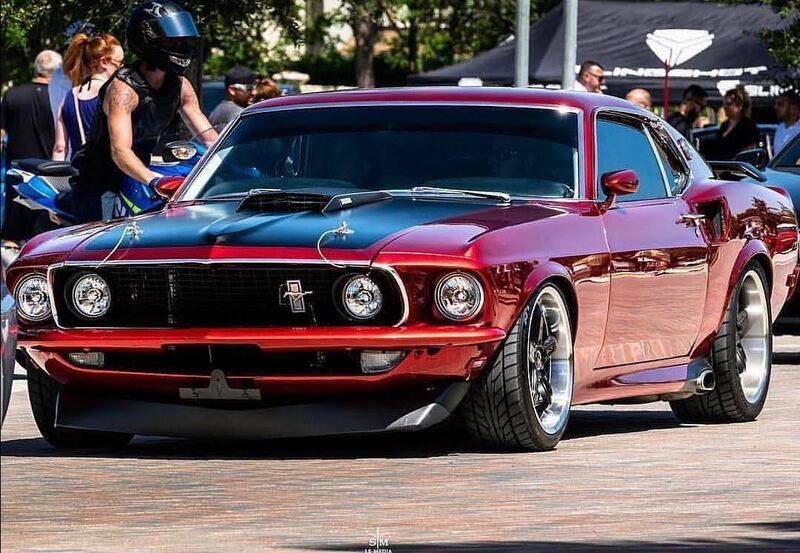 This beautiful red Custom 1969 Ford Mustang does the same for thing to me and thousands of other people when they see her. You’re looking at a fully restored custom 1969 Ford Mustang Fastback Mach 1 Custom Pro tour. Did I mention matching numbers car? We finished the restoration on the beautiful girl in 2014. With a new power house 351 Windsor motor that now has only 12,000 miles on her the block was flown out to one of the top shops S&J for a complete custom build. Heads ported and polished, aggressive cam bal and blue printed block. Music to my ears. The built C6 transmission also original matching numbers was sent out and custom built to hold all the extra power that she puts out like a champ For the amazing paint on this car she was completely striped down and professional painted with seven coats of the best kandy paint on the plant House of Kolor Kandy Apple Red over Orion Silver. This is a 12K paint job that you can see from miles away and was worth every penny! The paint on this car is absolutely amazing in the sun and gets best paint awards at just about every car show it is in. The functioning hood scoop and truck tail are both custom wrapped in top of the line 3M carbon fiber for that custom aggressive look. You can see this baby from a mile away. If you want thumbs up at every traffic light this is the muscle car for you. Complete neck breaker! 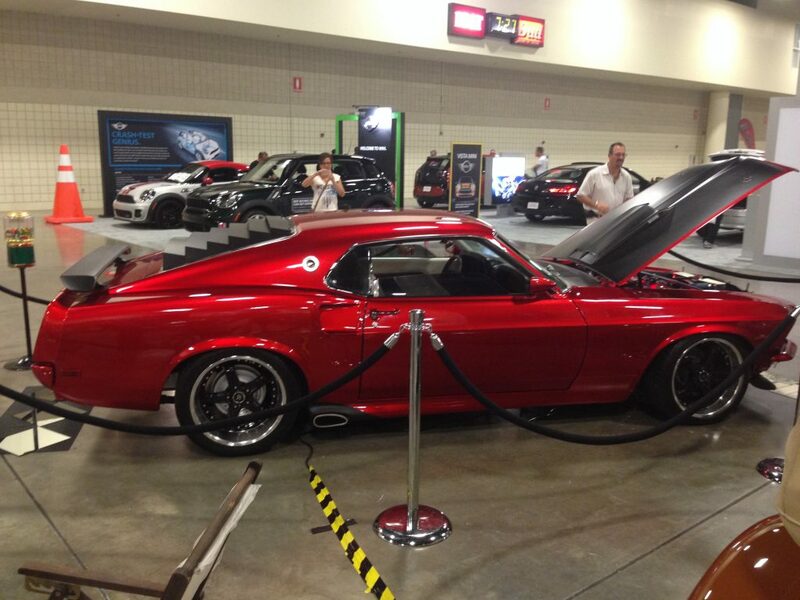 The top award we received for this car is the 2014 People’s Choice Winner at the Ft. Lauderdale International Car Show. A crowd of 150,000 people voted this as their people’s choice winner this is the biggest car show in South Fla. We have all the newspaper articles and tons of trophies from every show this car has won and will continue to win. Every single part on the Mustang was purchased from only the top of the line parts dealer in the US for Mustangs, National Parts Depot and Summit Automotive. With over 45K invested just in top quality parts and products. 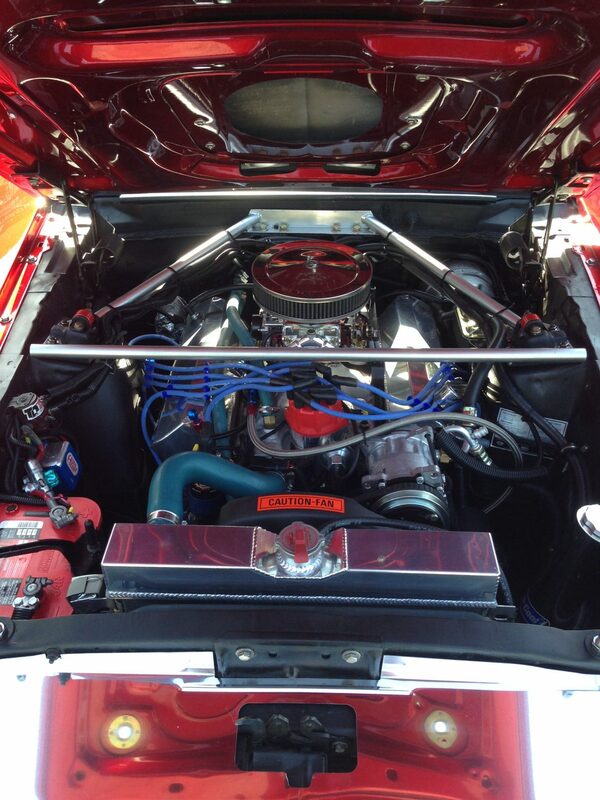 This fine Ford Mustang Mach 1 also has new aftermarket AC which is cold as ice even in Florida on a 96 % weather. If your little lady wants to go for a ride there will be absolutely no complaining about her hair or the heat. Now the best part arrives this custom Protour Mustang was dropped 5 inches for a very aggressive stance look and fitted with SSBC stainless slotted disk brakes, calipers and brake lines front and rear. This bad boy also has a custom 3 inch mandel bend flowmaster 40 serious exhaust with custom side dumps if you ever want to go open headers at any time. 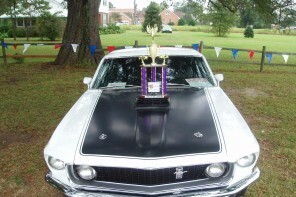 As you can see this if one of the first “1969 Ford Mustang Mach 1’s” with custom side exhaust. This is the first 69 we have ever seen with this great custom feature. You will see them on 68’s but not a 69 unless they are done custom. Now for the amazing sound system this car has nothing but the best audio possible, all JL audio amps, one 600 powers a 12 inch JL sub in the trunk and a JL 4 channel supplies all other 6 speakers. You have never heard anything so clear and loud. 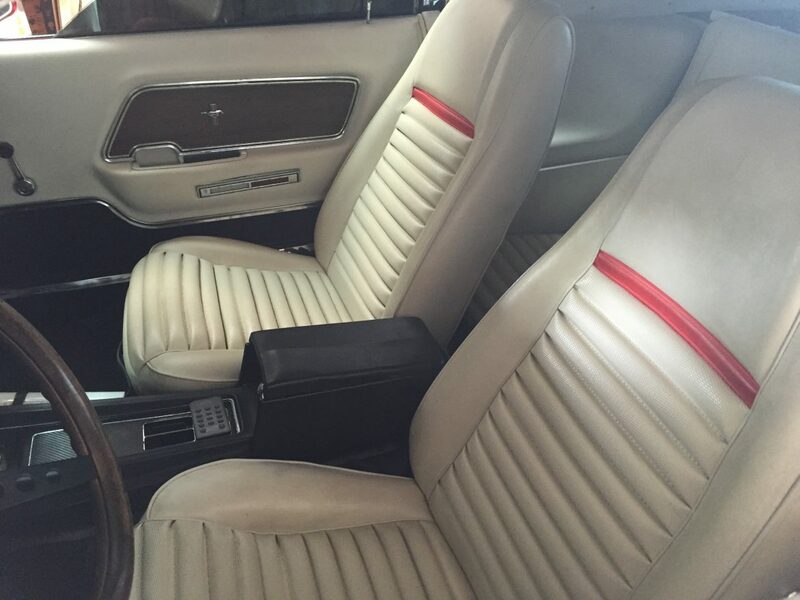 This is all surrounded by plush while leather interior. We wanted to keep the color scheme original but with the new aggressive paint like the house of color Kandy paint job. Now the cheery on the cake this Custom 1969 Ford Mustang Mach 1 also is a night stacker. This car is a night time head tuner as well. You have under hood Red LED’s for all night time car shows, Grill LEDS, Side Vent LEDS, Rear Truck LEDS, Interior Red LEDS and all powered by a remote and interior switches for whatever area you what to turn on.This is one amazing Custom 1969 Ford Mustang Mach 1 Custom Pro Tour muscle car that was built for a king. It is a shame to let her go but another build is waiting. This beautiful girl needs a good home. Please contact TuffTruckParts.com for more information. Stunning car and just love the stance as well. Beautiful pro-touring ride. Thanks for sharing.